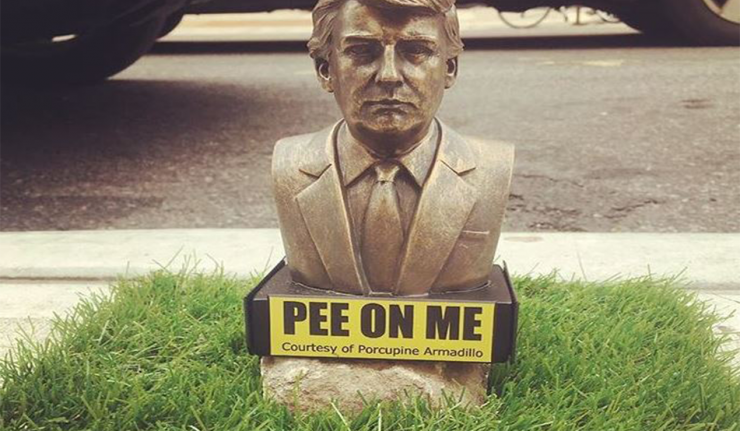 The art piece/doggy service comes from the mind of Phil Gable, who gave a shoutout to his brand content company, Porcupine Armadillo, on the front of the statue. 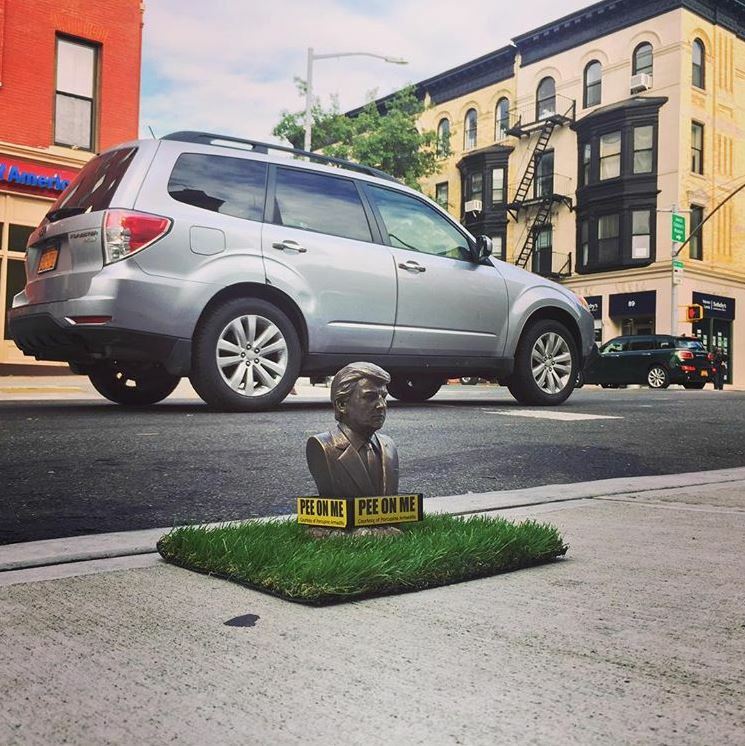 He placed the first version at the intersection of Union and 7th and heard positive responses before it was, unsurprisingly, swiped later in the day. Gable told Gothamist that the statues were part cathartic expression and part public service. 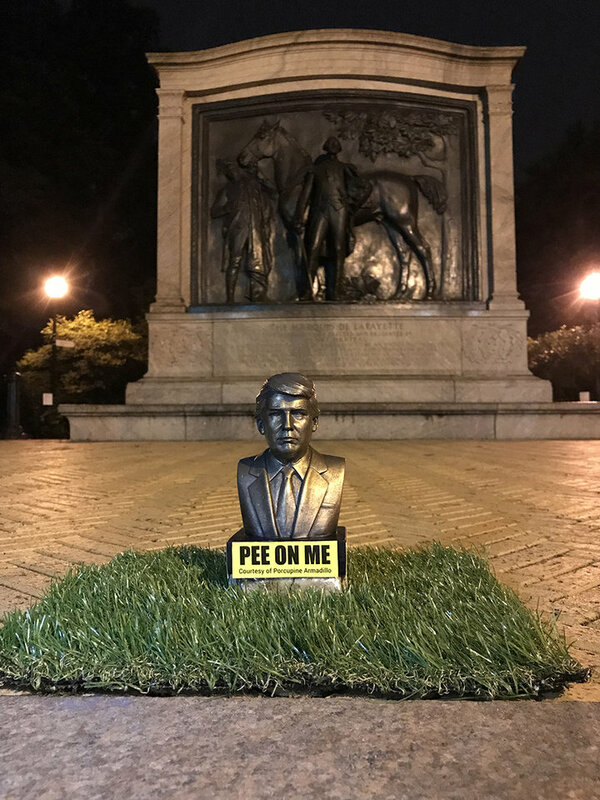 He’s hoping that neighbors who might not like his dig at Donald appreciate his attempt to train dogs to pee in a designated areas as opposed to flower beds. Gable went on to say that he’s thankful he could combine the practicality with an outlet for his disdain for Trump. He finds himself turning to humor and satire when things in D.C. get a little too disturbing. “It was largely just a personal expression of my own disdain for Donald Trump, both as a President and a human being. I find it cathartic anytime I can express disdain through comedy, especially if it’s related to politics. And this case, it’s both funny and useful, which makes me happy,” he said. “I wanted to see how people reacted, and the reaction has been really great so far—I mean really great, probably some of the greatest reactions anyone has ever had to anything, ever,” he said channeling his best Trump impression. 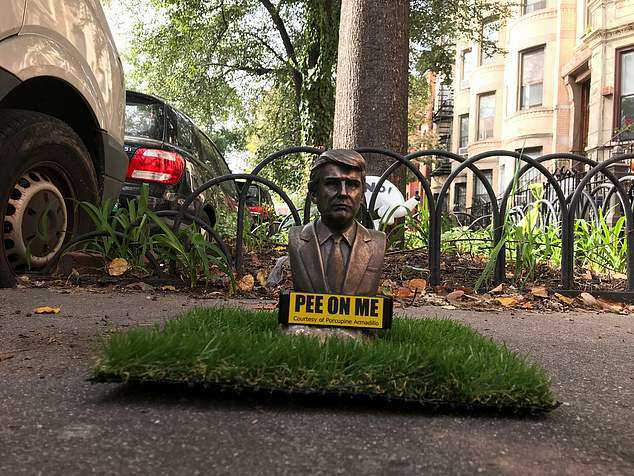 Dogs across Brooklyn will have more opportunities to relieve themselves on the president. 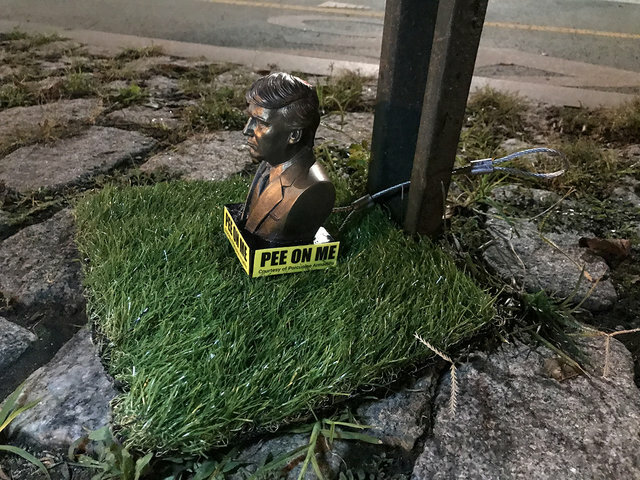 Gable placed additional statues across the neighborhood – this time with a plan to deter people from swiping them for their home bathrooms. The new ones are anchored down with cables, so we’ll see how long they last.